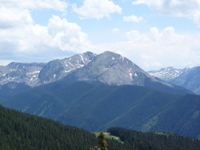 Spending a week in the mountains was really nice. It was a beautiful escape and has given me renewed energy for my job and life in general. The weather was amazing! 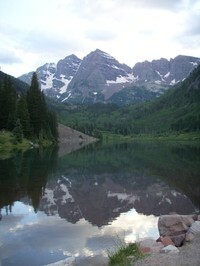 Above are the Maroon Bells which we went up to see one evening just before sunset. A couple of folks went up there for sunrise, but I wasn’t all about getting up early. Not a lot of knitting happened, but I do have a couple of additional pictures to share. 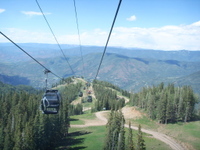 We took the Gondola to the top of the mountains in Aspen. We don’t have chipmunks in my part of Texas (just their cousins, the squirrel), so I was fascinated. 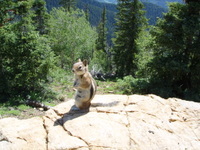 Plus, this little chipmunk posed for us! She allowed me to get this close without a zoom, it was amazing! That chipmunk is so cute! You should submit the image to Cute Overload!